NOTICE : There will be no service on 28 Sep. Service will resume on 5 Oct. This entry was posted in Sunday Morning Service (SMS) and tagged Dhamma talk, SMS, Sunday Service on August 25, 2014 by wayadmin. Carry the lanterns with your friends/family and a group of elderly. 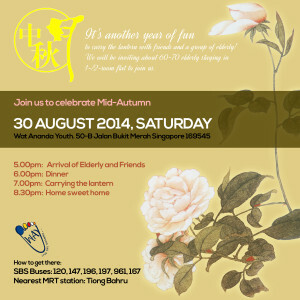 Volunteers are required to accompany the elderly. Pls email to way1966@gmail.com if you can help. 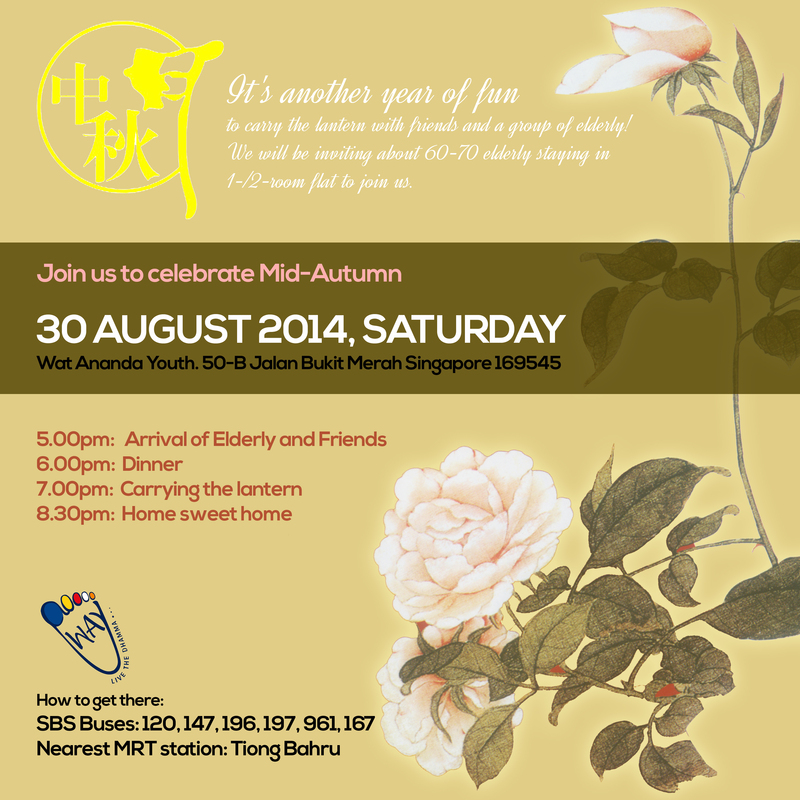 This entry was posted in Community Service, Sunday Morning Service (SMS), Young Buddhist Chapter ( YBC ) and tagged Mid Autumn; Community Service on August 7, 2014 by wayadmin. Talk will be in Mandarin. This entry was posted in Forest Way and tagged Dhamma talk, Ven Jutipanno on August 7, 2014 by wayadmin.